A loyal dog named Rambo saved his owner's life by taking the brunt of a bolt of lightning that struck them - though sadly, it cost the sweet animal his own. 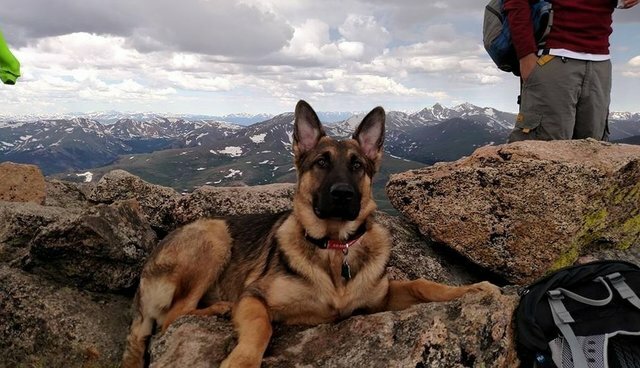 Rambo had been out for a hike with owner Jonathan Hardman and a few friends on Mount Bierstadt in Colorado over the weekend when tragedy struck from above. 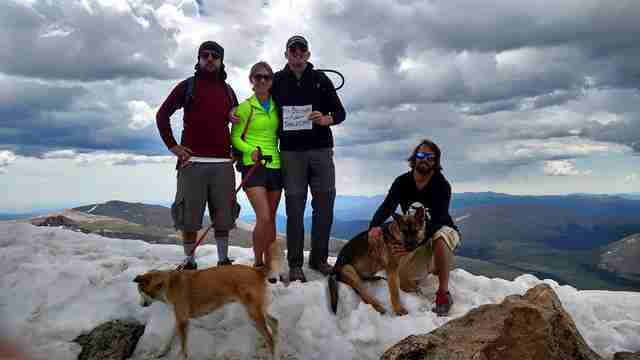 After the group reached the summit and began their descent down the mountain, a thunderstorm overtook what had been calm skies overhead. 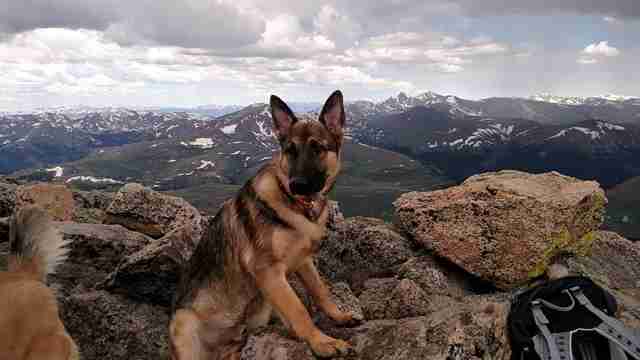 Hardman was alongside his athletic German shepherd, helping him over the rocky terrain at the instant a blinding flash stuck from above, knocking him unconscious. 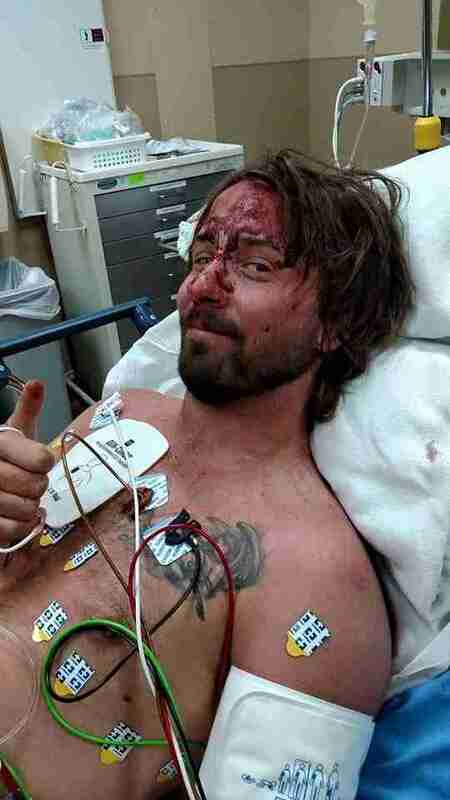 "I was coaching my dog down, telling him to jump where I was and next thing I know, I just wake up, and I couldn't move my hands or my arms or my legs," he told 9NEWS. "I looked up and saw [Rambo] just lying there." That was the heartbreaking moment Hardman realized his dog was dead - though he would later learn what Rambo's extraordinary sacrifice had bought him. Though he suffered serious injuries from the bolt of lightning which struck him, Hardman was still able to make it down the mountain to get medical help on his own. Once at the hospital, doctors informed him that he would likely have died had not Rambo been there to absorb the deadliest dose of the lightning's fatal energy. "My doctors told me that [Rambo] shared that electric charge with me, because he was right next to me," Hardman told the news station. "He was right at my side. And if it weren't for him, I might have had that whole thing in my body alone." Nothing will ever be able to make up for Rambo's death on the mountainside that day - but even in the earliest days of his recovery, Hardman is making it clear that he owes each and every day of his life going to the caring dog who was taken from him so suddenly. 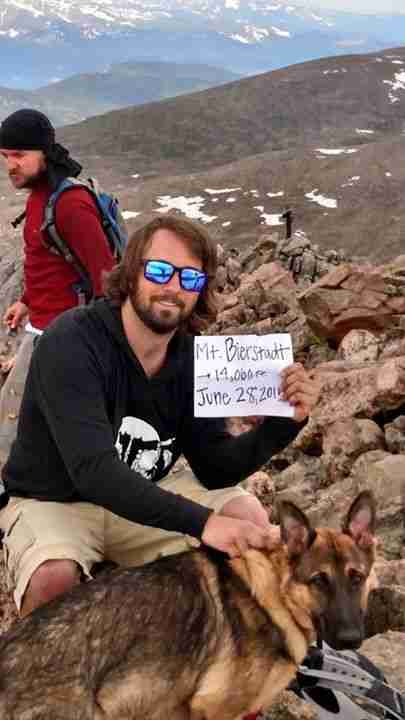 "As some of you already know, I was hit by lightning today when I was hiking Mt bierstadt with my dog. I survived but my wonderful dog Rambo took the lightning bolt with me and he died. Here is our last picture together," Hardman wrote on Facebook. "It's because of him I'm still alive. I'll miss you so much Rambo"